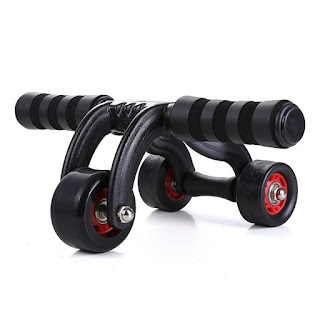 Abdominal rollers - the best and cheapest thing you can buy when it comes to fitness equipments and it actually works, at least for me! 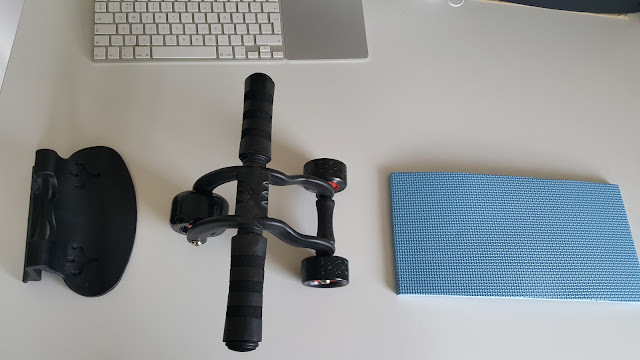 I had single wheel ab roller for many many years in my 20s and early 30s and stopped due to the back pain and related troubles. Now in my 40s, the inevitable started showing up some signs of fat (“the Ring") and I’m desperate to get back to shape. In the process of finding the right equipment to support my capability I found this little gem, a re-incarnation of good old ab wheel! Immediately decided to get one, as the design seems very good and potentially a good equipment to support my workout without spending a fortune on big machine or in Gym. 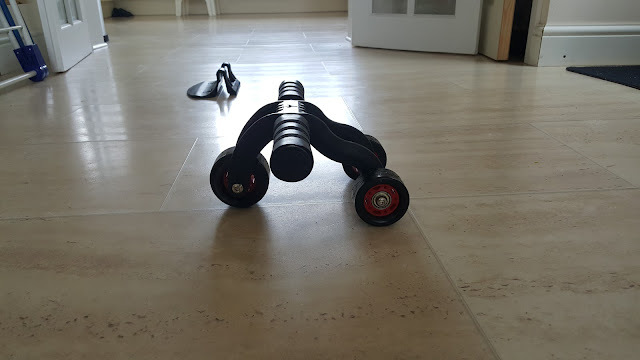 I’ve been trying this for past couple of days, comparing to the old single wheel roller, this has much better control and traction. 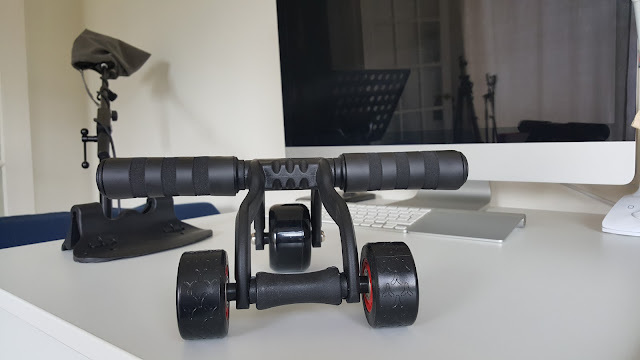 This 3 Wheel ab roller is slightly easier than the older one, but a lot safer and usable to people with various fitness levels. If you have never used a ab roller, you will feel some level of distress for few days just as any other exercise. 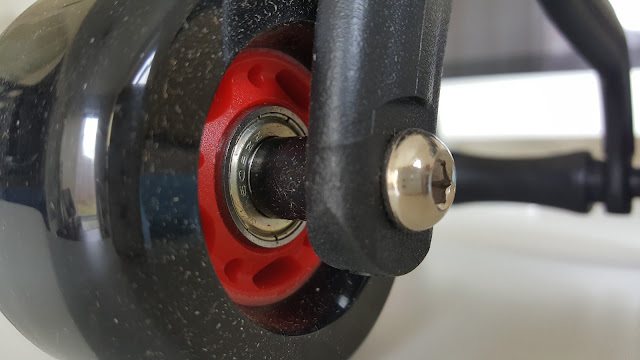 Construction is based on high strength plastic that you see in Skateboards, wheels are also very similar to skate board wheels that gives a very smooth roll with a load. 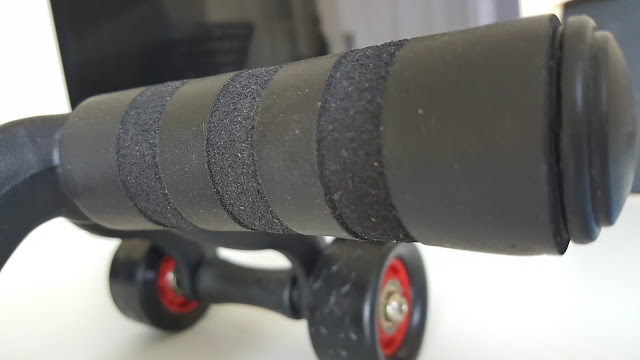 Handles are strong, grippy and comfortable to hold for prolonged sessions. 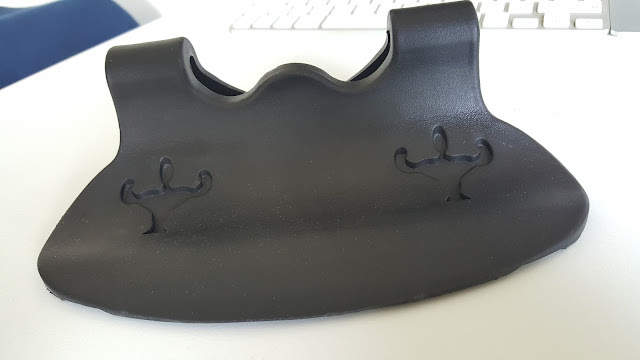 Knee pad included is decent and retains its shape after use. 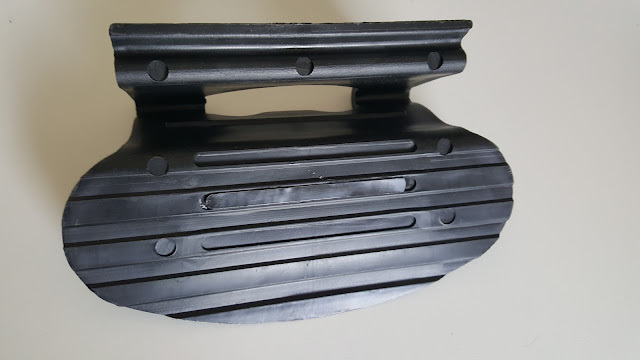 One of the highlight is stopper mechanism, which is also made of high strength plastic with soft plastic / rubber grip in bottom, I’ve got into the stopper several times during my session and not even once it slipped, but safely stopped me from going further. There are no manuals included, but you can find various methods of usage from blogs and videos on Google. 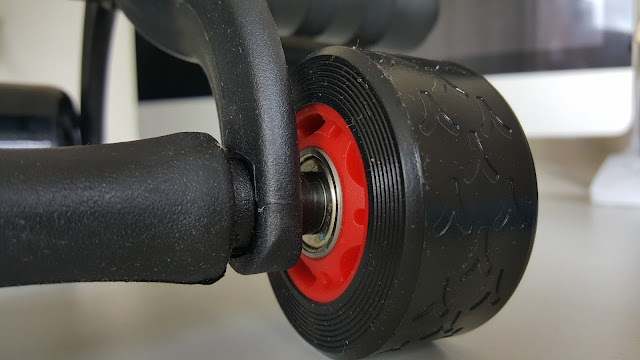 Some designs turns out as just right, I feel this 3 wheel ab roller is one among them, Overall a great product for people with different fitness levels.